Just a few hours after being spotted on the US FCC , Samsung has made the successor of the Galaxy Xcover 3 official. The device is listed on the German website with all Specification details and Samsung Galaxy Xcover 4 Smartphone will be available in Europe in April. The highlighted of the device is rocky and it’s dust and water resistance capabilities . It will be made available in Black colour option for the price of EUR 259 (approximately 18,200 . 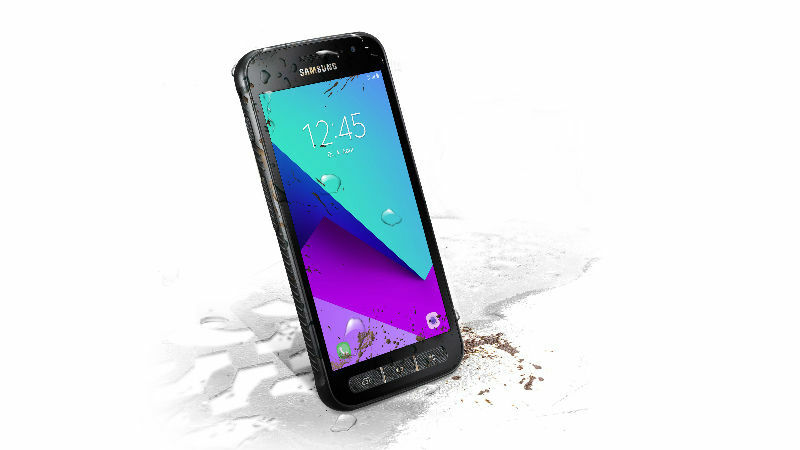 The Samsung Galaxy Xcover 4 comes with Military Grade MIL-STD 810G rating for toughness and ruggedness and can survive high and low temperatures , falls , humidity , vibration and salt environment. It also comes with IP68 rating for dust and water resistance and the company says it can withstand immersion for upto 30 minutes in upto 1meter depth of water. The smartphone comes with three physical buttons at the bottom fir Home , Back and Multitasking. It also support Glove prints to enable usage of phone is extreme conditions. The Samsung Galaxy Xcover 4 sports a 4.99 inch HD (1280×720 pixel) TFT display and the smartphone powered by 64bit Quad core Exyons 7570 processor clocked at 1.4GHz coupled with 2GB RAM and 16GB internal storage with expandable via microSD card . The Galaxy Xcover 4 features a 13Mp rear camera with 5Mp selfie camera and packed by a 2800mAh battery. The smartphone runns on Android 7.0 Nougat with the company’s own TouchWiz Skin on top.